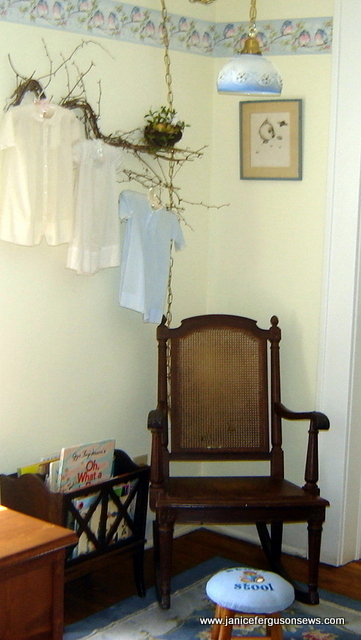 This sweet round yoke baby dress is the last of the six that hang in the nursery here at our home (see post Nana’s Nursery). With a numerous embellishments, it clearly took considerable time to make. 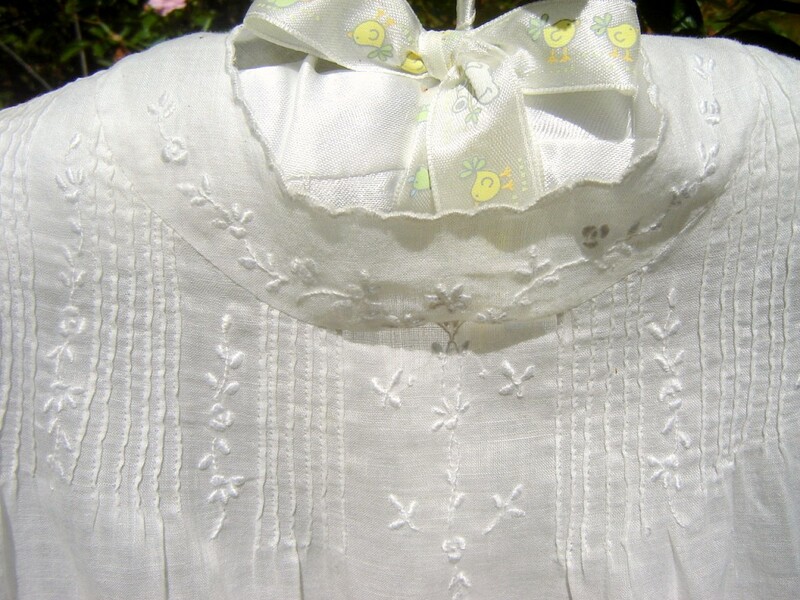 As usual, I thought about its maker and wondered if the dress had been made for a child, grandchild or perhaps a niece. Obviously, it was lovingly stitched. Due to the range of skills exhibited, I even wondered if it had been a group project, perhaps mother and daughter working together. The simple but extensive embroidery appears to have been done by a very competent needleworker. At this point, there is a large square of Swiss flannel in the center, framed with four blue gingham triangles, creating a medallion. Four smaller triangles create the “snowball.” The perimeter of the flannel snowball is pinstitched, with the holes from the wing needle in the flannel and the “reach” stitch in the gingham. The perimeter of the square gingham frame is also pinstitched. 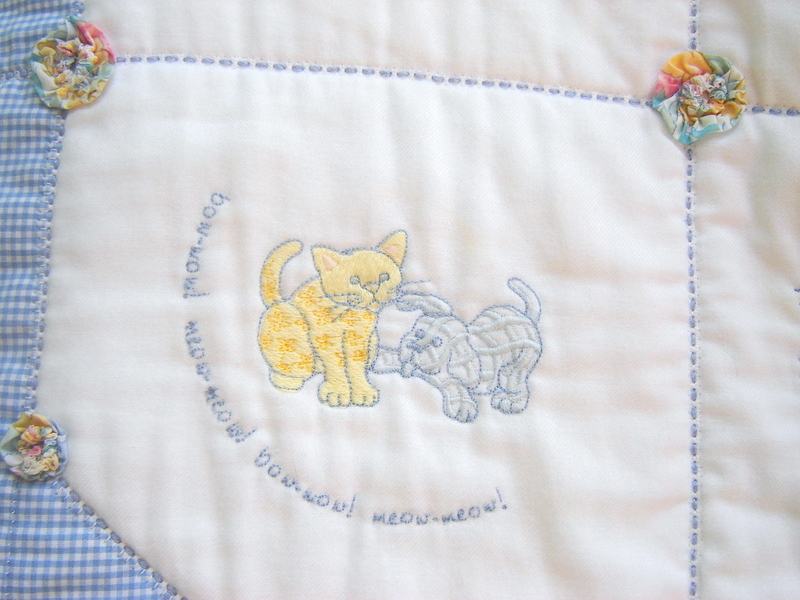 DOG/CAT EMBROIDERY: All the text files were stitched, including the poem itself as well as the “bow-wow” and “meow” text. The gingham dog and calico cat was a design from Dakota Collectibles. Suzanne arranged the text in an arc or wave over the dueling pets. This is one of my all-time favorite projects. My dear friend, Suzanne Sawko, and I collaborated on the design, she digitized the straight line text and I sewed it. It was a major project and telling you about it will take more than one post. I doubt many of you would have the patience or endurance to plow through all the details at one sitting. However, those of you who seek new techniques might find some tidbit of interest in the non-conventional creation of this quilt. So this is part one. The quilt celebrates the amazing capabilities of today’s computerized home embroidery machines. Uncommon sewing and quilting techniques make the project interesting and relatively easy. 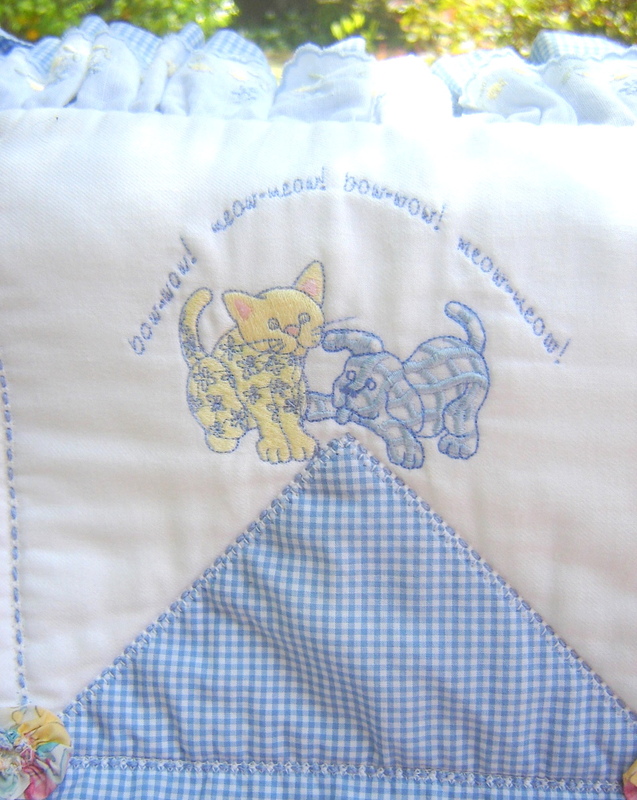 With the whimsy of a classic children’s poem, the beauty of fine heirloom fabrics and the charm of embroidered gingham dogs and calico cats, this quilt has delighted each of my grandchildren. 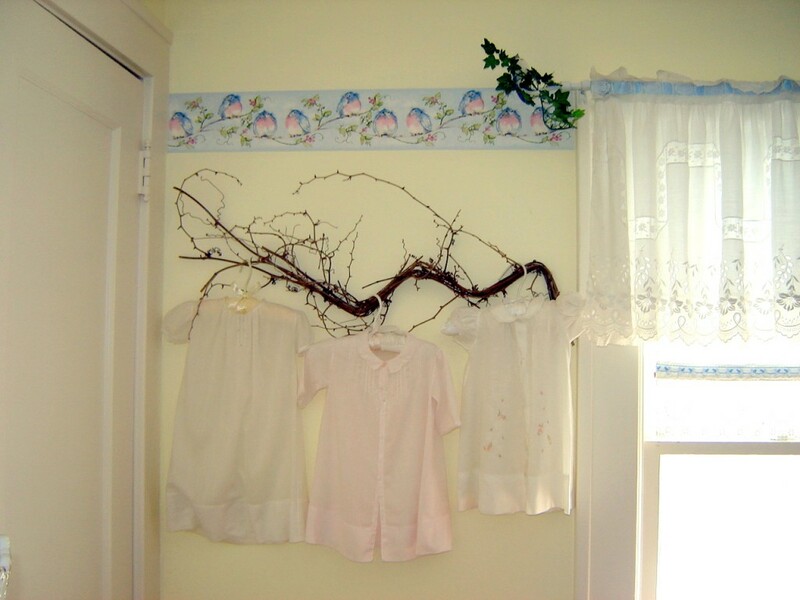 It hangs now in our upstairs nursery, next to the crib. What makes this quilt interesting? Well, the basic construction, for one. 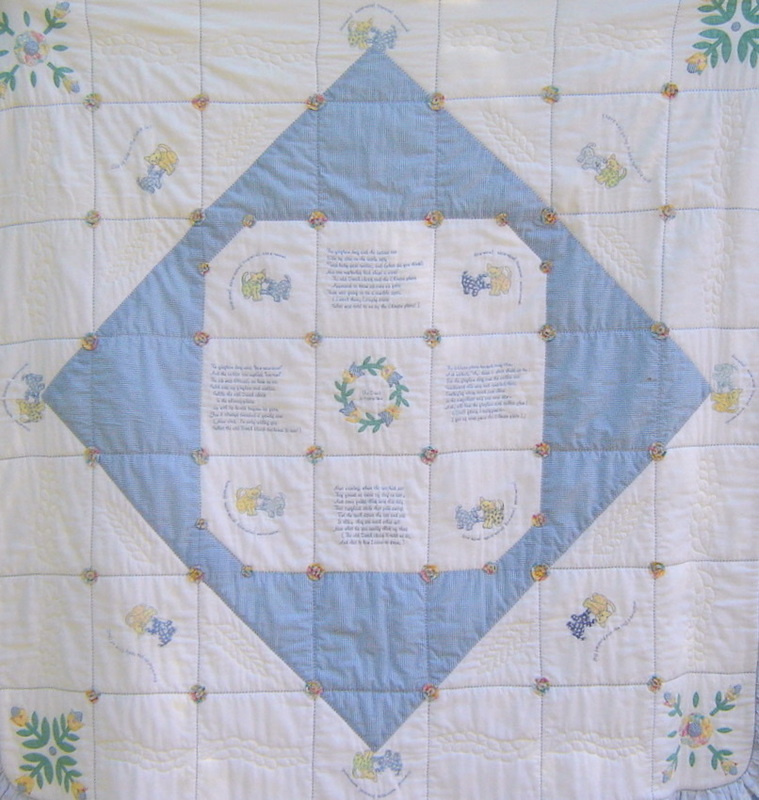 I will never forget my original disdain for quilting, especially after hearing a non-quilter comment that to her it made little sense to cut perfectly good fabric up into little pieces and then sew it back together again. At that time, I naively concurred. But there is none of that cutting up and resewing here. 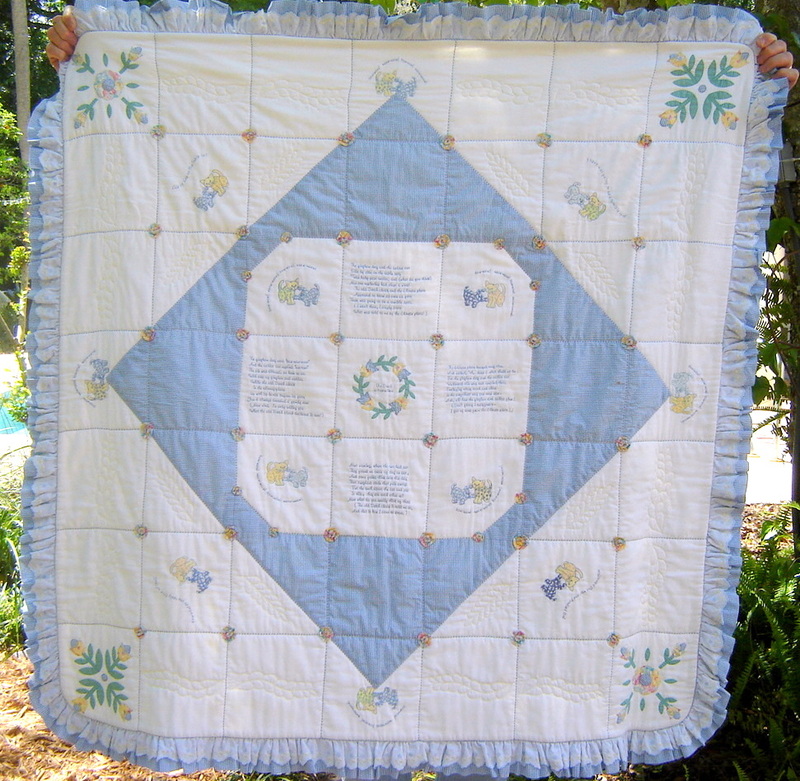 This quilt is very non-traditional in every respect but the design. QUILT TOP CONSTRUCTION: The foundation is a 50″ square of Swiss flannel, a luscious but shifty fabric which creates its own challenges. Pulled threads created a centered grid of 7″ squares. 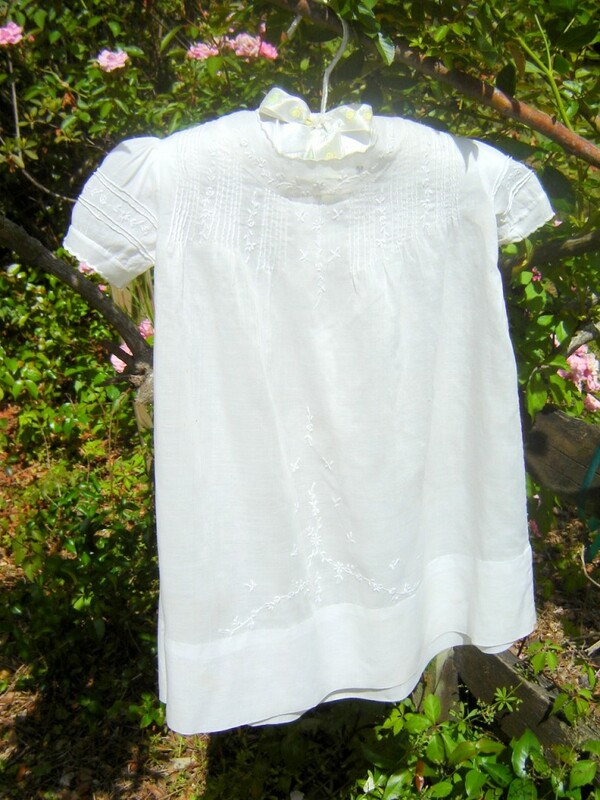 After the threads were pulled, the entire piece was starched and pressed. 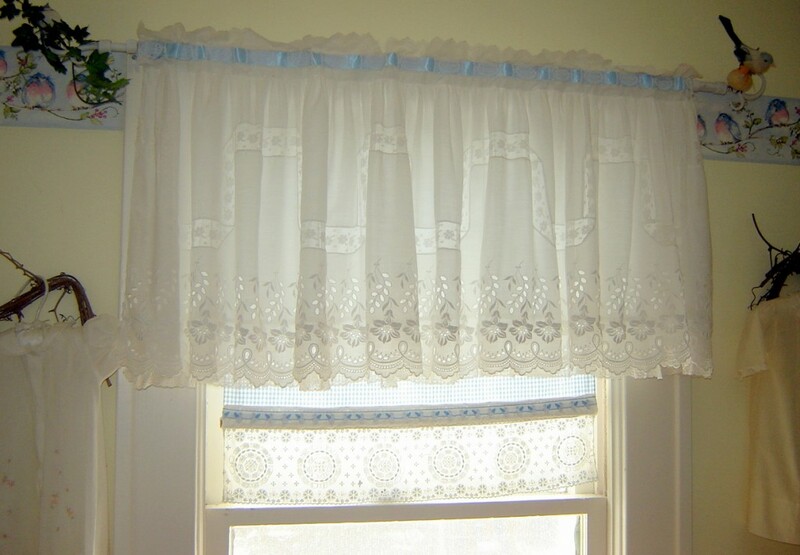 Valance is made from antique bassinet skirt. Have you ever bought something just because you had to have it, even though you had no idea what you would ever do with it? I’m pretty sure most of you have. About 20 years ago, a vendor at a doll show had an elaborate display of antique textiles. 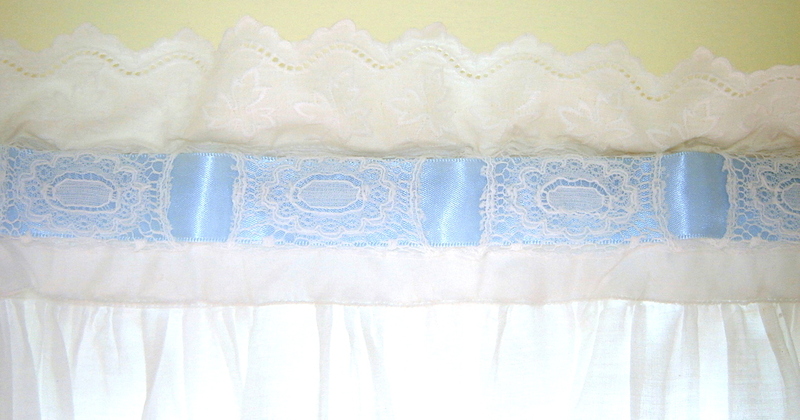 Among her wares was a bassinet skirt, cut in half. In her opinion, bassinets were no longer in use so she cut it in half to make the price more reasonable. 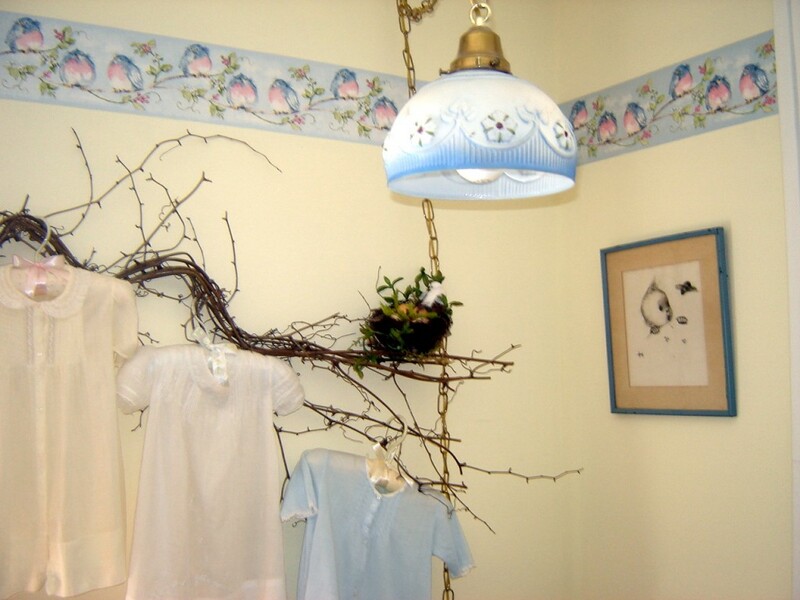 I thought it was far more likely that one doting grandmother would pay a good price for a breathtaking skirt than it was for two creative sewists to pay a little less for a chopped up bassinet skirt. But maybe she was right—I was one one of those “sewists” (I really don’t like that word, but it beats sewer) and she had already sold the other half to another like minded lady. Don’t you love reading to children before they go to bed? They are clean and sweet smelling and, usually, a little quieter and sweeter than earlier in the day. 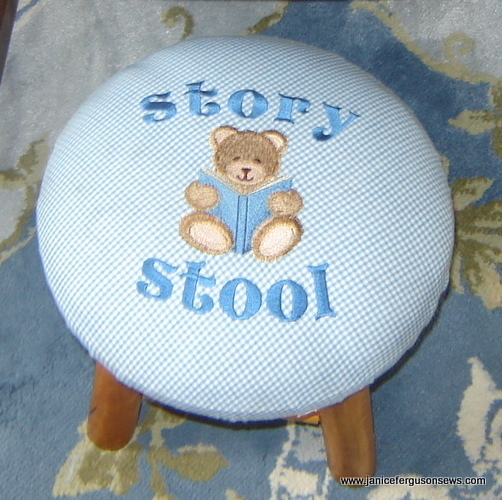 My grandchildren love story time. Even when they are not spending the night with us, they often are bathed and jammied up, ready to read books before the trek home. 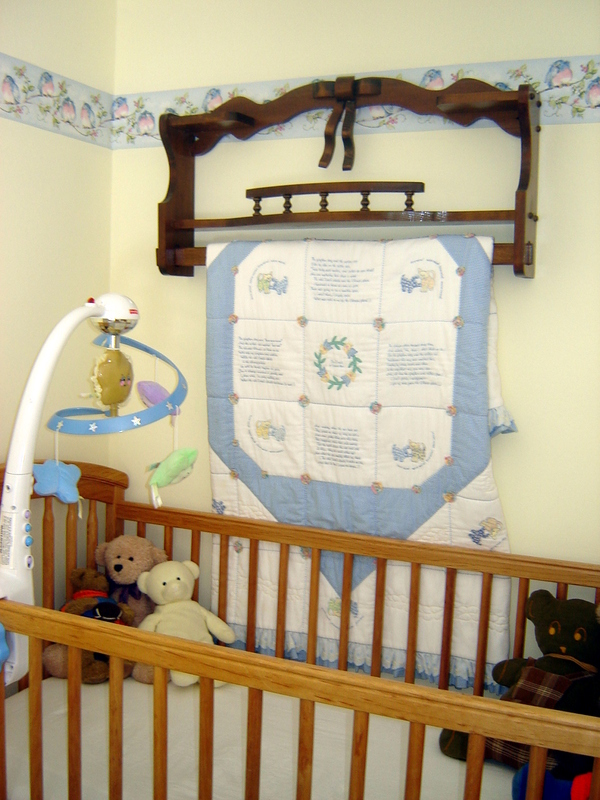 Because our married children live nearby, I knew a well equipped nursery would make their frequent visits with grandbabies more enjoyable. 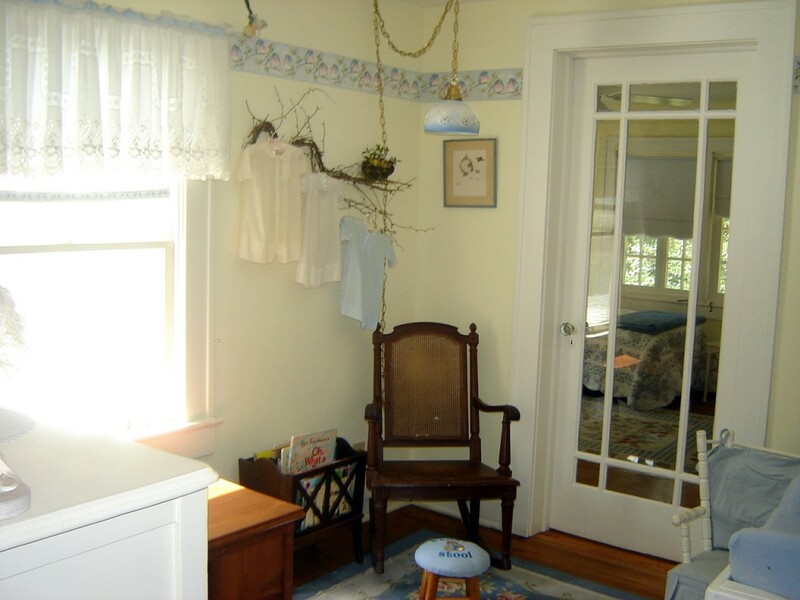 So years before they were born, which happened in typically rapid fire succession, I began collecting items for the room I had dedicated as the grandchildren’s nursery. The beloved, old, caneback rocker is the same one that rocked my daughter’s godmother, then my two babies. It was just waiting to come out of retirement to rock yet again. Many years ago, Suzanne Sawko and I went on a fabulous road trip to the midwest, ostensibly to visit old college friends. From Florida, we drove back roads all the way and found antique shops that were heavily stocked and rarely shopped. What treasures we found!